The 21.1 MB PDF instruction document (Nikon calls it the “Nikon D5100 Digital Camera Reference Manual”) for the Nikon D5100 should prove to be a fantastic read, all 260 pages of it — be sure to download it. 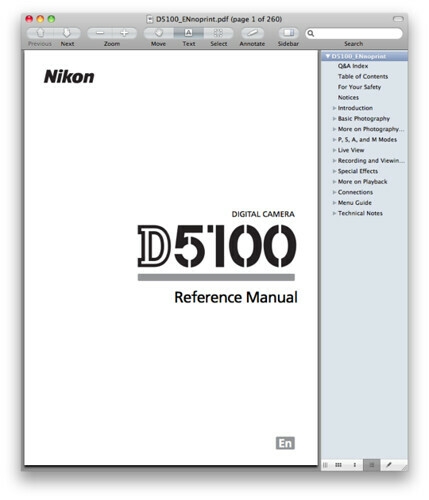 Both English Language (printable and non-printable) and Spanish (non-printable) versions of the Nikon D5100 Reference Manual / Camera Owner’s Manual / Guide to Digital Photography can be downloaded at NikonUSA.com. 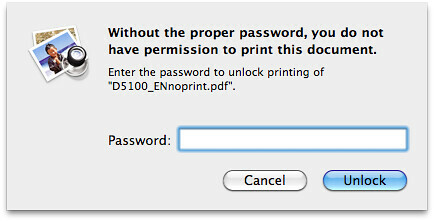 Nikon D5100 – Main page.